Oh wait, that’s Kylie. I’m Delta. I had an ultrasound of my thyroid gland on Wednesday 7th August. Just another test to throw into the mix. A bit more pathology in my body because lymphoma isn’t enough. The PET scan I had for staging of the lymphoma also showed some activity in the right lobe of my thyroid gland. Something had been noted on the initial CT scan I had and this had been described as “a low attenuation area, likely a simple cyst”. I know because I have a copy of the report. The size wasn’t mentioned in that report. The fact that this area showed activity on the PET scan meant that it needed further investigation. It was not a simple cyst as that would be PET negative. So what is it? Is it benign (non-cancerous) or could I be so lucky to have another cancer in my body? That was obviously the concern and the reason further investigation had been recommended. Ultrasound is the best modality for looking at the thyroid gland. Just in case you’re wondering where your thyroid gland is. I arrived at the imaging place for my 10:30 am appointment and waited half an hour to be seen (yes, even doctors have to wait. I know, nothing compared to the public health system!) While I was waiting, I got a text from my sister, “Thyroid ultrasound? Please explain!” Before I left home, I casually mentioned to my mum that I was just heading out for a thyroid ultrasound. Her jaw dropped and she had a look of horror on her face. As soon as I left, she texted my sister to ask if she knew about the ultrasound. She didn’t and was concerned. My sister and I exchanged a few text messages in which I explained the reason for the ultrasound and the possibility that I could be really lucky and have two good cancers to which she responded “Are you f%$#*g serious?” I then explained that most thyroid lesions are benign but if it is cancer then it is unlikely to have spread so I would just need it removed, and if it was cancer then I really was lucky I got lymphoma otherwise the thyroid cancer would probably never have become apparent until it had spread. Talk about tension, worry and concern! I should have just told my mum I was going shopping! The sonographer called me and I told her recognised her. We had a brief discussion and worked out she had probably done one of my obstetric ultrasounds a couple of years earlier. She had obviously done her research on my recent scans as she said “things have gone a bit crazy since I last saw you”. She asked if I had started treatment and I told her I’d had my first chemotherapy and told her a bit about the horrible week following and my probable reaction to maxolon. She told me she had also been through chemotherapy several years earlier (I didn’t ask which cancer she had but now I wish I had; I’ve got the cancer card so it probably wouldn’t have been intrusive) and she also couldn’t take maxolon while she was having chemotherapy. She’d taken it prior to having chemotherapy with no problems. That is a bit of an aside, but I thought it was very interesting. So, she performed the ultrasound of my thyroid gland. I could hear her clicking away, obviously measuring things, but it’s not like an obstetric ultrasound where they show you the screen and tell you what they are doing. This one is all very secretive. When she finished, I asked her how big the lesion in the right lobe was now. There was no eye contact. “About 3 cm” she said. Hmmm, that’s significantly bigger than the 0.6 cm cystic nodule described in 2008, but it had been 5 years and even benign lesions grow. It was the lack of eye contact. I was pretty sure she thought it was cancer. She wouldn’t be the one reporting the ultrasound, that is done by a radiologist, but sonographers usually have a pretty good idea. So then I thought it was cancer. I doubted the ultrasound would be conclusive one way or another and I thought they would be recommending further investigation – getting some cells or tissue to look at (pathology!). The thoughts going through my head right then were that cancer would be annoying because that would mean an operation. They’d probably want to do an FNA first (FNA is fine needle aspiration which involves sticking a needle in the lump, sucking out some cells and then looking at them under a microscope – cytology). I didn’t like cytology when I was doing my pathology training. Not many pathology trainees do. I didn’t want an FNA; results are often inconclusive and you’d most likely have to go on the have the lesion removed anyway. I’d be opting to go straight for surgery. Could I have an operation while having chemo? I would assume not because healing wouldn’t be that great. I doubt they’d stop my chemo for the surgery because it’s more important to get on with treating the lymphoma. So once I finished chemo, I would then have another operation to look forward to. I’d have to get in touch with Christian again to find out who the best thyroid surgeon is. Are all the enlarged lymph nodes in my neck lymphoma or have some of them got metastatic thyroid cancer in them? Have I really got two cancers? What the hell is going on in my body? If I survived this lymphoma and I did have thyroid cancer, I’d spend the rest of my life waiting for the next cancer to pop up. I thought I’d arrange to get my uterus and one remaining ovary removed to eliminate to possibility of getting cancer there (I’ve already had one ovary removed for a benign tumour). Despite all these thoughts crossing my mind, I remained calm. Thyroid cancer doesn’t spread early, and has an excellent prognosis if it hasn’t spread (better than Hodgkin’s in fact and no chemotherapy required – you might even be allowed to call it a good cancer!) so I wasn’t worried about that. It was just the thought of having not one, but two cancers at 38 years of age. That is crazy and almost certainly genetic and I have passed my genes on to my two children. What sort of cancers are they going to get? There go the wild thoughts again. After the ultrasound, I returned home, picked up my daughter from school and headed to the airport with the rest of the family to attend a conference in sunny Queensland. This had been booked several months ago and it was looking like I’d be giving it a miss after the week of chemo round 1, but I came good just in time to go. The timing could not have been better. Leaving a miserable Melbourne winter after an awful week to go to sunny Queensland was probably just what I needed. I should probably do it after every chemo! I called my GP the next day to get the results of the ultrasound. I controlled myself and didn’t go straight to my radiologist colleague this time, given the bad experience I had with the PET scan results. It was my GP’s day off so the nurse said she would show the results to another doctor and call me if there was anything to worry about. The call came at 4:55 pm, when I was in a lift with no phone reception of course. I called back and the nurse told me she had shown the results to another doctor and he said to tell me there were nodules in the right lobe but no sinister features. “Is that what you were expecting?” she asked. Well, no, in fact it wasn’t. I was expecting cancer but I told her I didn’t know what I was expecting. Do you think I was content with that opinion? No way! The next day I texted my radiologist colleague and asked him to have a quick look at my scan, at his leisure, and let me know what he thought. The response came back within minutes. 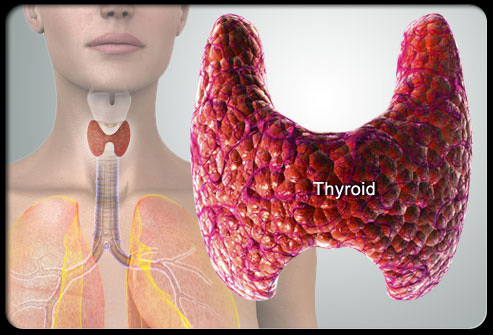 “You have several lesions – solid and cystic in right lobe of thyroid. Not avid on PET. Likely to be benign. We would suggest surveillance with ultrasound ie. 3 months but a biopsy is not a big deal if you are really worried. I am not.” There are not many people who have access to second opinions within minutes via text message. I am fortunate in that respect. And I’m not worried. I probably won’t even have another ultrasound in 3 months. I’ll leave that until after I’ve dealt with this lymphoma. I have to say though, a thyroid biopsy probably isn’t a big deal for a radiologist who has probably performed hundreds of them, and it probably isn’t a big deal compared to a bone marrow biopsy, but it is still something I’d rather not have done on myself without very good reason because having a needle stuck in my neck would not be pleasant. A thyroid biopsy. Not my idea of fun! So why is she smiling? So there you go. It seems I have only one cancer. How funny are all those irrational thoughts now? Lisey introduced me to the term ‘cancerchondriac’ and I think my thoughts may have just been an example of that. Oh, and I wonder if the sonographer did actually think it was cancer but she got it wrong. You continue to astound me. That quote about God only giving us what we can handle. He certainly made one tuff chick in you. I wonder if all your medical knowledge is a good thing, I tend to go with the saying ignorance is bliss. Christian is looking more and more desirable. You sure have some great friends. Dare I say I think you are very lucky. I agree Melissa, why is the needle biopsy girl smiling so much. Maybe she just discovered how much they don’t hurt. Having had three, I found they were very uneventful and pain free. So if you ever have to go down that road, it is nothing to worry about. You have already been through much worse.